We are able to work together with our partners in a range of different ways, from delivering targeted funding programmes or donating professional advice and expertise, to designing projects that help to make connections in the local community and get people involved. “As a local Bank, looking after local customers in Norfolk, we were very keen as part of our on-going fundraising efforts to support local charities, and first impressions were that NCF would be the perfect fit. 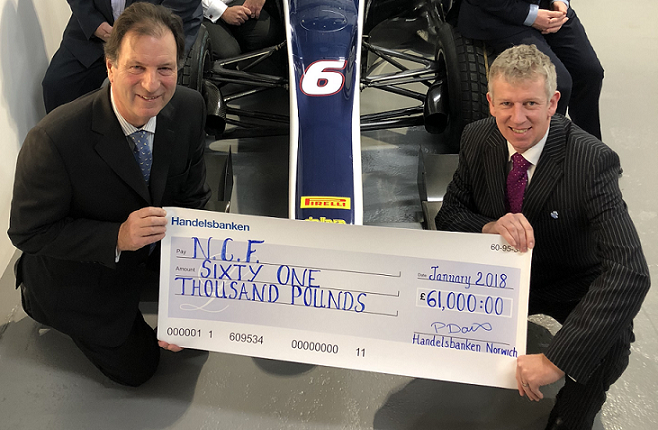 I would like to place on record my thanks to NCF for providing Handelsbanken with the opportunity to support so many deserving local charities. Without question they are carrying out a vital role in our local community and together I think we achieved something very special. The Great Yarmouth Community project was the first of its kind for Flagship Group. The aim of the project was two-fold. We wanted to run a project that spanned across multiple weeks that would get both our customers and staff active in the local community as well as boosting the biodiversity of a green space area. Norfolk Community Foundation were a fantastic help, not only helping us find the site to work on but also putting us in touch with great local partners who could help us undertake this initiative. The project was a resounding success. For staff it allowed them the opportunity to get first-hand experience in one of our communities and to mix with local people living in the area. For the local community the project gave them the opportunity to get outside, be active, meet other people in a friendly environment and gain a sense of pride for the local area they are volunteering in. NCF proved to be so much more than just a charity we were raising funds for but a true partner in the whole process from start to finish.